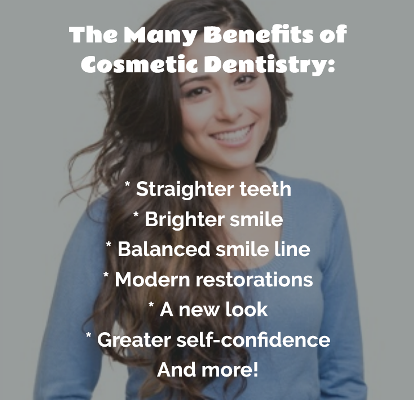 From professionals to students to parents, everyone wants an attractive smile. Meadows Dental Group offers extensive cosmetic services among our comprehensive dentistry options, and our dentists will work with you one-on-one to find the best solution for improving your smile. Our cosmetic dentists maintain a comfortable, state-of-the-art office in Lone Tree, Colorado. We also serve patients in and around Highlands Ranch, Centennial and the nearby area. Call 303-790-2323 to schedule an appointment. How can BOTOX help my smile? How do I pay for cosmetic dentistry? Many patients resign themselves to an unsatisfactory smile. Whether you have underlying health issues or don’t know about options for taking your smile to the next level, it’s easy to feel discouraged – but Meadows Dental Group is pleased to tell you that you don’t have to be discouraged! Crooked teeth, including bite misalignments like overbite, underbite, cross-bite, etc. The first step toward a better smile is a complete exam. Our cosmetic dentists will perform panoramic X-rays to get the clearest view of your oral health. It is very important to fix underlying health issues, such as cavities and gum disease, before proceeding to cosmetic treatment. Our dentists never judge or shame you. We work with you to correct dental health problems, then we collaborate on the steps to building your best smile. Each smile is unique, and the treatment plan our dentists develop for you is just as one-of-a-kind. We will discuss a wide variety of options and what will work best for your specific needs and goals. Many cosmetic dentistry treatments complement traditional general dentistry. For example, our dentists complete single-tooth dental implants with a custom porcelain crown, while orthodontic treatments such as Invisalign can straighten teeth like regular braces but without a metal apparatus. Dental bonding is even an effective option for reducing minor gum recession. If the gum line has started to recede, leaving a part of the tooth root exposed, our dentists can apply a thin layer of resin to protect the exposed portion of the root. This leads to cosmetic improvements while reducing tooth sensitivity. Our dentists complete dental bonding in just one appointment, making it one of the easiest and most convenient cosmetic dentistry options at Meadows Dental Group. The tooth surface can be prepared and the bonding material hardened in less than an hour. Once the bonding procedure is complete, all you have to do is maintain your oral hygiene. But, dental resin is not resistant to staining, so you might need to invest in additional bonding or other cosmetic dentistry treatments if your smile starts to look lackluster. Many patients who have metal amalgam fillings opt to replace them with tooth-colored fillings. The new filling restores the tooth while simultaneously improving its overall appearance – metal fillings materials only accomplished half of this goal. The composite in white fillings is also not susceptible to changes in temperature the way metal amalgam is, giving your tooth greater stability. In addition, our dentists have to remove less healthy tooth structure to place a composite filling. Our dentists will evaluate your tooth and discuss the best option for repairing it. You might be a candidate for a tooth-colored filling, or a dental inlay or onlay – inlays and onlays are more extensive restorations than a filling, but less than a crown. Dr. Scott Peppler has completed advanced training in the use of BOTOX® Cosmetic. You might associate this treatment with plastic surgery, but dentists like Dr. Peppler have discovered aesthetic and functional benefits of the popular injectable. Your smile is more than just your teeth. It also involves your lips and other nearby areas of your face. By reducing lines and wrinkles, cosmetic injectables like BOTOX boost the appearance of your face, which in turn augments your smile. At Meadows Dental Group, we also offer BOTOX to treat TMJ disorder, or headaches, facial pain and other symptoms resulting from misalignment of the jaw joints. Like BOTOX, Juvederm is another popular non-surgical alternative to cosmetic surgery. 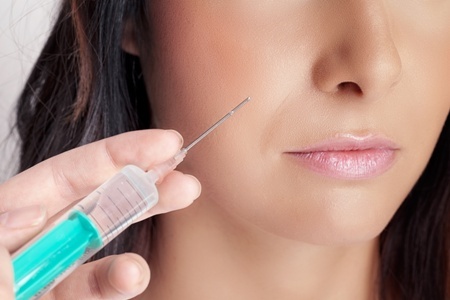 Unlike BOTOX, Juvederm is a facial filler – it does not affect nerve activity in the face. Instead, Juvederm is made of a biocompatible material containing hyaluronic acid. Hyaluronic acid is a naturally occurring molecule that provides volume to the skin and assists in healing. The body’s production of hyaluronic acid diminishes with age, which makes wrinkles and other signs of aging more prominent and prevents the skin from “bouncing back” the way it did when you were younger. Our dentists will discuss Juvederm, BOTOX and other cosmetic treatments during your initial consultation at Meadows Dental Group. Our Lone Tree office is a comfortable, relaxing environment. We also offer sedation options for patients who get nervous. Your dental insurance is unlikely to cover procedures that are predominantly cosmetic. Your insurance likely provides coverage for cleanings and exams, plus select treatments that restore health and function. Many of our patients are frustrated when they learn that insurance won’t cover treatments that can improve their confidence and sense of well-being. Meadows Dental Group believes that decisions about dental treatment are between the dentist and the patient. What the insurance company dictates is not always the best treatment option, which is why so many patients visit us for a second opinion when they are denied benefits for certain procedures. Dental insurance ostensibly makes dental care affordable. When it comes to cosmetic treatments, Meadows Dental Group is pleased to offer an alternative with CareCredit. CareCredit is a premier financing option for procedures not covered by insurance. We provide interest-free plans for up to a year, as well as cash or check discounts when you pay for your procedure in full. Patients who are looking for treatment of a single tooth or other issue that can be assessed with a single X-ray may be eligible for a free consultation. More extensive treatments requiring an overview of the entire mouth or multiple X-rays will necessitate a comprehensive exam, subject to standard fees. Find out if you are eligible for a free consultation. Call Meadows Dental Group at 303-790-2323 today. Our cosmetic dentists serve patients in and around Lone Tree, Highlands Ranch, Centennial and other communities in the metro area.